My 100th post on site!!!?!?!! Hola Nachos! Today, the US AUSIA Force logged onto Fjord to have an unscheduled training session; or just to have an event . We maxed and averaged 6, with 5 being US, and 1, me, being AUSIA. This is unacceptable, guys; you can’t be in a division and attend other division’s events only(I’m talking about some who are AUSIA and attend UK events 😉 ). Anyway, the event didn’t start really well, both on chat and cp, but in the end, we had some pretty good tactics. Thanks to everyone who attended and those few who logged on on their own will 🙂 . Remember to attend the tonight’s battle! 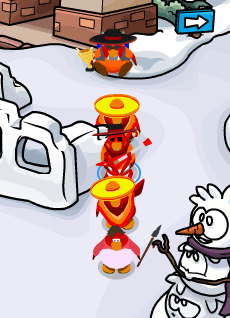 A picture of cp under Invisible Name Glitch! Nice job -US- Ausia troops! How do we know bout events?? BE ON THE CHAT! HOW MANY TIMES TO SAY IT. You never are on the chat..how would you know about unscheduled events..